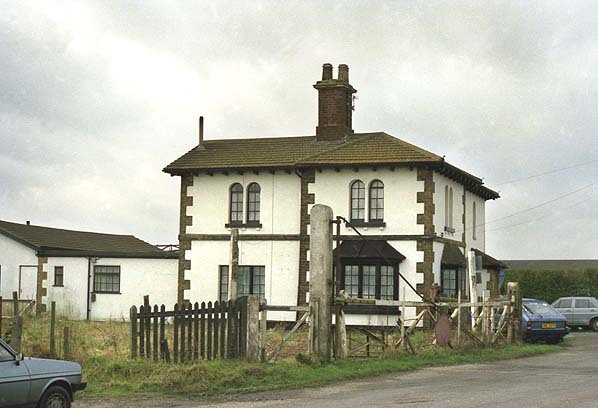 Present state: Although the platforms have been demolished the cattle dock survives as does the station house which is largely unaltered and in private occupation. Level crossing gate posts survive on both side of the road and a signal post stands opposite the site of the north platform. The goods yard is used as an industrial vehicle depot. Notes: Holton-le-Clay & Tetney was one of the original stations on the East Lincolnshire Railway, opening on 1st March 1848. 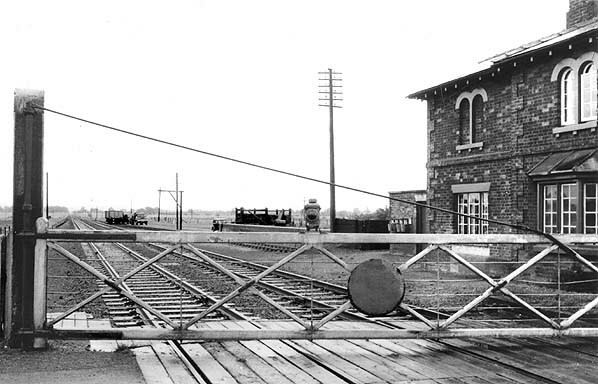 It was typical of many ELR stations having staggered platforms either side of a level crossing, 'Tetney' was soon dropped from the name. 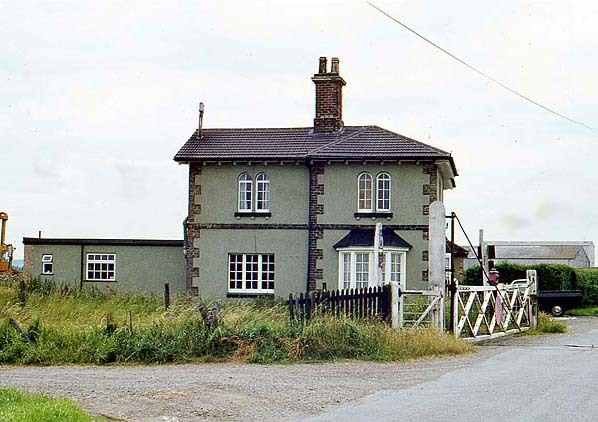 A signal box on the down side south of the crossing controlled the crossing and access to the goods yard which was on the up side also south of the level crossing. The yard consisted of one siding which served a cattle dock. 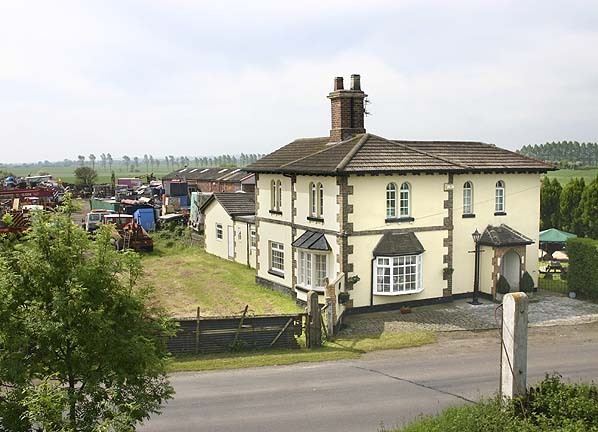 The station master's house, similar in design to others on the ELR was built in the north east corner of the yard, adjacent to the up line. 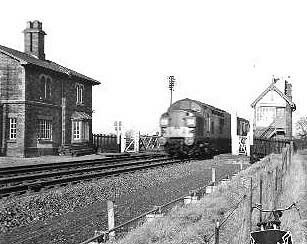 The station was closed to passengers on the 25th May 1954 but remained open for goods traffic until 25th May 1964. 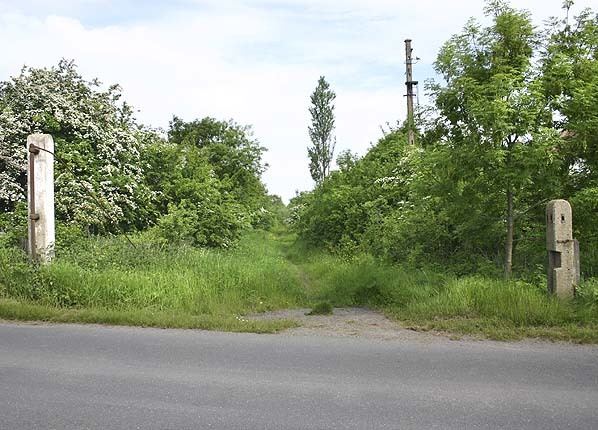 A line from Louth to Mablethorpe was first proposed in 1864 running from the ELR at Alford to Mablethorpe, but despite obtaining an Act, the company couldn’t raise sufficient capital. In 1871, the Louth and East Coast Railway was formed to build a line from Louth to Mablethorpe via Saltfleetby. The company received its Act on 18th July 1872 and the GNR agreed to work the line. were proposed to build a direct link between Lincoln and Skegness. In 1884 the Lincoln & Skegness Railway Bill was approved by the House of Commons but defeated in the Lords following opposition from the GNR who refused to work the line. Holton-le-Clay station looking north in June 2006. The goods dock can be seen beyond the building.